The community volunteers from Burdeos town in Quezon Province are now set to start the implementation of community projects after completing the training on project implementation processes and procedures through the Kapit Bisig Laban sa Kahirapan-Comprehensive and Integrated Delivery of Social Services (Kalahi-CIDSS) program of the Department of Social Welfare and Development (DSWD). The town of Burdeos is granted with PhP10.14 Million to fund the construction of need-responsive community projects including farm-to-market roads and school buildings under the Kalahi-CIDSS. 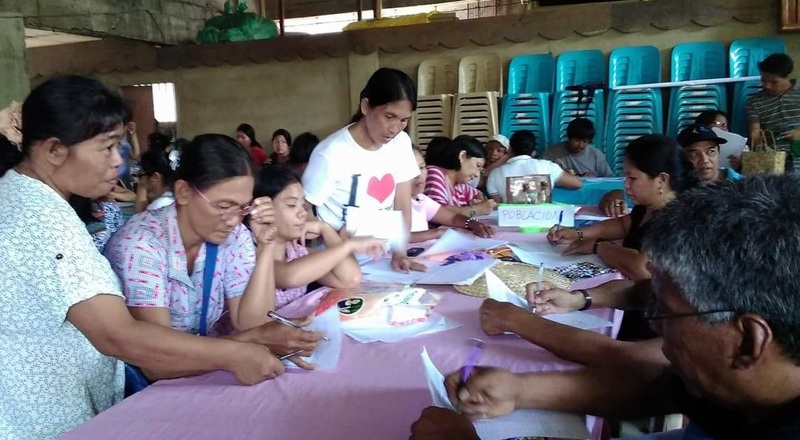 The Community Volunteers’ Training, held last July 27 to 29 in the said town, is part of the community-driven development strategy of the Kalahi-CIDSS where local residents are empowered and capacitated to work towards the development of their communities. Sessions include financial management, community procurement and construction estimates as well as discussion of roles and responsibilities of the community volunteers towards a transparent and effective implementation of projects. These volunteers came from the seven barangays of Burdeos that were prioritized to receive funding for their proposed projects. These barangays include Amot, Anibawan, Bonifacio, Caniwan, Cabugao, Mabini, and Poblacion. Further, representatives from the Dumagat tribe residing in Burdeos were also trained as they are provided a separate grant worth PhP500,000 to delineate their ancestral domain in the town. According to Marrieta Azores, 26, one of the community volunteers from Brgy. Poblacion, the training made her realize that implementing a community project requires a lot of heart and hard work. “Malaking tulong sa amin ang training dahil hindi pala basta-basta lang ang pagsasagawa ng proyekto. Kailangan magbigay ng panahon at dedikasyon para masiguro na maganda at maayos ang kalalabasan nito. (The training is a big help for us as it really is not easy to implement a community project. We all need to give time and dedication to ensure success in our project. ),” said Azores.